How to pack a gift in paper at home? Gifts are an essential attribute of almostAny holiday. Pleasant souvenirs are presented to friends, colleagues, relatives. And basically everyone is guided by the principle that the gift itself is much more important than its beautiful wrapper, so you can completely do without it. That is, the candy in both candy wrappers and without it will be equally delicious. But you will agree, even a very serious person will be delighted with an exquisitely and ingeniously packed souvenir. The most popular material for packaging, like many years ago, is paper. In addition, there are many ways of wrapping yourself. So you can wrap a paper around a surprise of any shape. The modern assortment of this material is simply colossal. Mulberry - handmade paper for packagingGifts, which are produced in Thailand. Despite this, it is presented in a fairly wide range of colors, often sold with drawings or ornaments, sometimes it is adorned with inserts from floral materials - dried flowers, fragments of stems, leaves. The above varieties do not exhaust the whole choice. 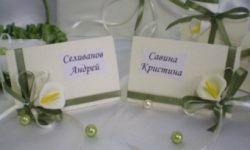 There is still a lot of options: silk, pearl, embossed, grasped, gel, etc. The packaging material never sticks to the box itself. This option is the simplest, and alsoOne of the widely used. For work you will need: packing material, cords or ribbons for decorating, centimeter or tape measure, scissors, adhesive tape (better two-sided). Ribbons and laces are used for decoration. The packaging of this form is slightly more difficult to pack. However, many things are sold in such boxes, for example, hats, tea and coffee sets, tea, sweets, biscuits, etc. Not everyone will cope with such a task, so it is recommended that you first practice with unnecessary material. First you need to measure the height of the box. After that, a large strip is cut from the selected material, which is 2-3 cm wider than the height of the container. It is necessary to glue the box round, while at the bottom and under the top it is 1-2 cm. Naturally, the lid should first be removed. After that, cut out a circle or an oval, which is slightly smaller than the bottom. It must be glued from below so as to hide the tucked-in allowance. The lid is packaged in reverse. First a circle or an oval is cut out, but a little more than the size itself. It is glued with the allowance on the sides, while you need to make accurate folds. The strip for gluing around should be wider than the height of the lid by about 1 cm. It is glued flush with the top, and the protruding margins are tucked inside. It is not necessary to use expensiveWrapping materials. You can take the usual parchment. To pack something, you will need: the parchment itself, a stationery knife, an adhesive tape, a pencil, scissors, a paper of a different color and a colored lace. The base is folded into several layers so thatFinally get a three-dimensional decor. On her pencil draw a flower, which is cut out with a stationery knife, but not completely cut off, but only petals to get a three-dimensional decoration. Then the box is wrapped in colored paper, and then into the usual one. Finally, everything is neatly tied with a lace. Packing scheme of the most common formsBoxes is described above, but it is necessary and original to decorate them. 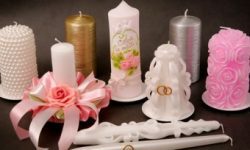 There is a lot of ideas and as many materials that you can use, for example, ribbons and ribbons for dressing are used, there may be several, different textures and colors. 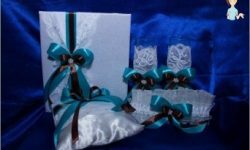 If the gift is wrapped in the simplest wrapper,Without ornament or pattern, then you can draw it with thin ribbons or threads and fix on top the flowers or bows. Such bright accents will give the presentation a special charm, make it more attractive. Men's gifts are packed in more restrainedTraditions. On New Year's holidays use small Christmas balls made of plastic. 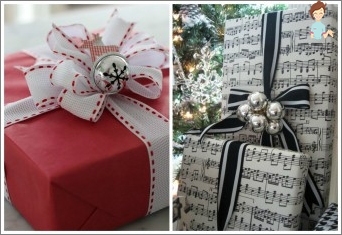 But the birthday surprise can be decorated with small bows or other ornaments. When packing gifts, children often put souvenirs in textile bags or make out in the form of large sweets. Kapuzy very much like such fascinating surprises. 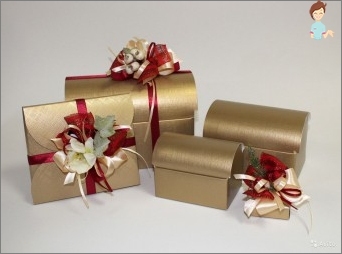 In specialized gift shops nowYou can buy special paper for gift wrapping and even ready-made packing boxes. There is a package of any dimensions, so there will not be any difficulties with packing. In addition, on the spot, a color and a picture of paper, articles for decoration are selected. In general, it will be useful sometimes to walk aroundShops, as you can learn some interesting ideas, for example, how to add a wrapper advantageously. It is also worth paying attention to a variety of small items, because very often they will be required for decoration, for example, colored bird feathers or butterfly brooches. 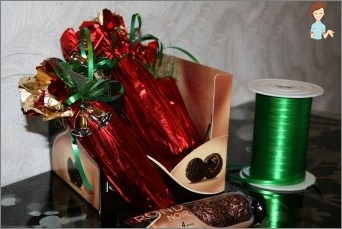 Many women in household stocks have all kinds ofRibbons, shoelaces, small souvenirs that can be glued on a gift box. And needlewomen can manually attach a flower, which is glued together with ribbons. That is, one can make with his own hands not only an original, but also a unique, exclusive thing. Enjoy your surprises and beautiful gifts!